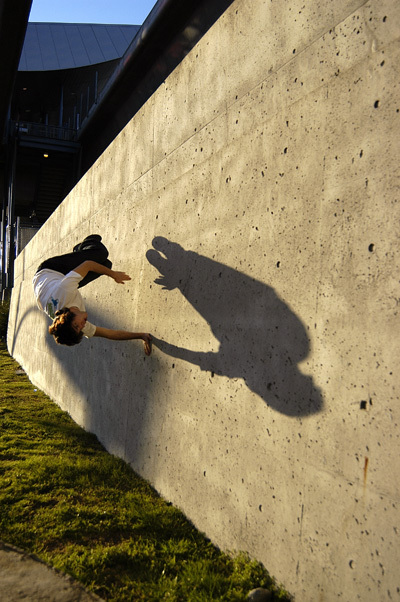 Parkour « Vancouver Spotlight – Your Station! Your Stories! visit www.pkbc.net for more information on Parkour in Vancouver. This entry was written by vanspotlight and posted on December 4, 2008 at 7:58 pm and filed under Outdoor Activities with tags City Lights-Parkour, french art, gymnastics, jump, leap, martial arts, movement, training, vancouver, workout. Bookmark the permalink. Follow any comments here with the RSS feed for this post. Post a comment or leave a trackback: Trackback URL.